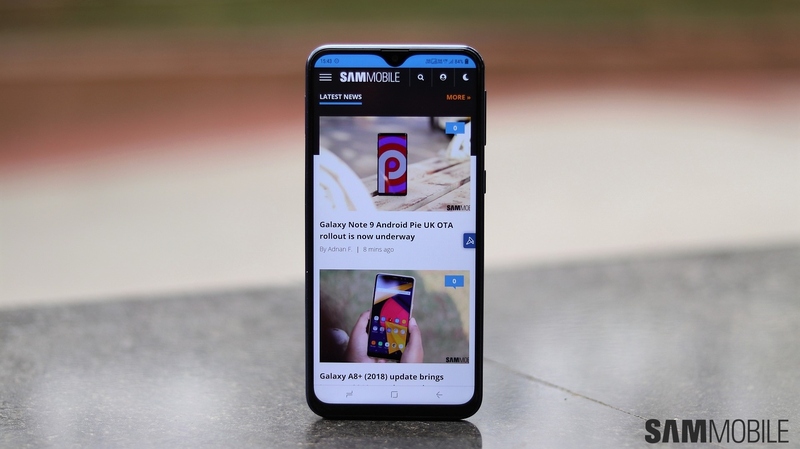 Samsung launched the Galaxy M10 and the Galaxy M20 in India last month, hoping to grab hold of some market share in the budget segment. The company is now bringing the new Galaxy M series to Indonesia and has launched the Galaxy M20 in the country. The device will go on sale in the country on February 14. As expected, Samsung isn’t launching the Galaxy M10 in Indonesia. The Galaxy M20, meanwhile, is expected to hit more markets in the coming months, including Russia and the UAE. Samsung will also be adding more models to the Galaxy M series in the coming months. The Galaxy M20 is available in 3GB+32GB and 4GB+64GB variants in India. However, the device is only available with 3GB RAM and 32GB storage in Indonesia. The rest of the specs remain same. The phone runs Android 8.1 Oreo out of the box and is powered by the Exynos 7904 chip. It carries a 6.3-inch Infinity-V display with Full HD+ resolution. The Galaxy M20 comes with a dual rear camera setup. There is a 13-megapixel primary sensor with F1.9 aperture and a 5-megapixel ultra-wide sensor with F2.2 aperture and 120-degree field of view. The device gets an 8-megapixel camera at front. The Galaxy M20 packs a 5,000 mAh battery and comes equipped with fast charging support. Read our Galaxy M20 review to know more about the device. Samsung has priced the Galaxy M20 at Rp 2.8 million (roughly $199) in Indonesia. This phone will be sold online through flash sale mechanism at Lazada.co.id, Blibli.com and JD.id starting February 14. Samsung promises exclusive offers to buyers who purchase the device between February 14 and February 21. Does M20 (or M10) include support for Knox? “in here mean where ? Indonesia. Good start from Samsung as the Redmi Note 7 hasn’t launch here yet.